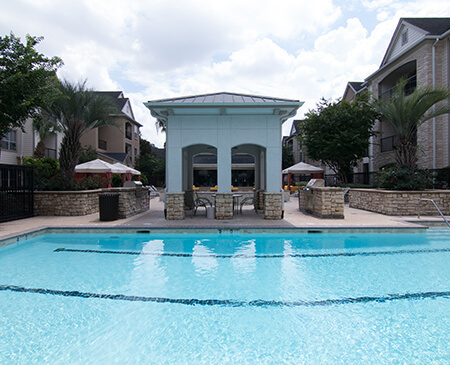 Looking for superb apartment living in Houston, Texas? Come home to Remington Park Apartments. We are located nearby Highway 59 in the Uptown Galleria area and Interstate 610. Our location puts you just minutes from an array of endless shopping, restaurants, and entertainment venues. Everything you need and want is close to home. With designer features to enhance your lifestyle, we offer nine spacious floor plans with one and two bedroom options. You will love the oversized closets and beautiful crown molding. Enjoy preparing meals in your fully-equipped kitchen with tile backsplash and stone countertops. Make chores a breeze using your in-home washer and dryer. And after a long day take a relaxing soak in your garden tub. Remington Park is a pet-friendly community so bring your furry friends. 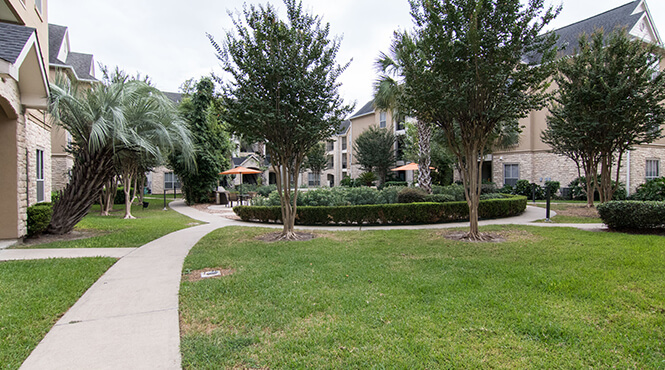 Here at Remington Park, we have a unique combination of convenience, location, and style with luxurious community amenities too. Come to play a game of billiards in the clubhouse or catch up on your social networking in the business center. For relaxation, take a cool and refreshing dip in the shimmering swimming pool or catch some daytime rays on the pool deck. For your active lifestyle, visit the state-of-the-art fitness center and get a great workout or play a game of hoops on the indoor basketball court. Give us a call today and discover the lifestyle you’ve always wanted.